Brighten someone's day during this trying time with this beautiful easel brimming with vibrant shimmering blossoms in the perfect shades of sun-kissed yellow, radiant fuchsia, precious pink, and blazing orange. That lavish radiant standing spray is sure to send a message of your deepest sentiments in the most delicate way. Pay tribute with a most grand display of sincere honor. Express beyond words the legacy of a most beautiful soul with grace and loving memory. Precious pastels in naturally beautiful shades of invigorating green, shimmering white, and precious pink together in unison for a picture perfect token of unconditional love and compassion in a time of sacred healing. 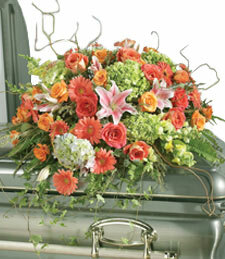 Give that special loved one a Bright Young Eternity Sympathy Standing Basket and wash away all their troubles. When a cherished friend or loved one passes away, honor their memory with this stunning standing spray of vibrant mixed flowers. 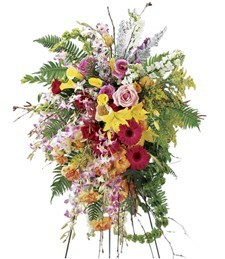 Pay tribute to a dear friend or loved one now at rest with this exquisite standing spray of stunning, fresh flowers. 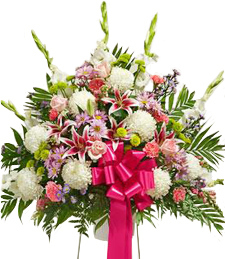 Shimmering with grace and beauty, these breathtaking blooms are a truly heartwarming and touching gesture of your deepest sympathy, support and fond remembrance. 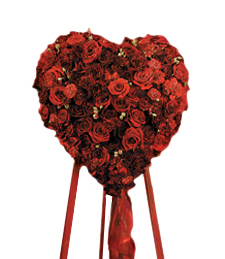 Artistically arranged in the shape of a heart, this exquisite standing spray brims with vibrant and velvety red roses. 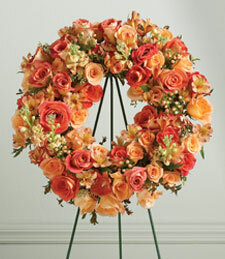 Radiating true "joie de vivre," and natural grace, these bold blooms are a wonderfully heartfelt way to honor the life of a dear friend or loved one and extend your deepest sympathy and support to those left behind. 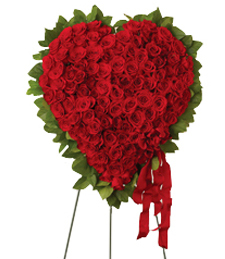 Adorn the final resting place of a dear friend or loved one with this exquisite heart-shaped cakset spray, brimming with stunning white and red flowers. Radiating nature's "joie de vivre," these bold blooms are a loving and heartfelt symbol of your warmest sympathy, support and fond remembrance. 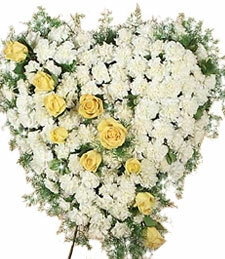 Adorn the final resting place of a dear friend or loved one with this exquisite cakset spray, brimming with stunning white and yellow flowers. Radiating nature's "joie de vivre," these bold blooms are a loving and heartfelt symbol of your warmest sympathy, support and fond remembrance. 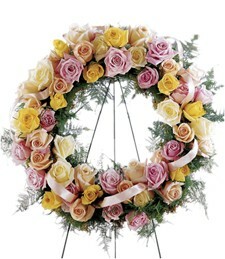 Adorn the final resting place of a cherished friend or loved one with this exquisite standing wreath, brimming with sweet smelling flowers in shades of pink, peach and yellow. 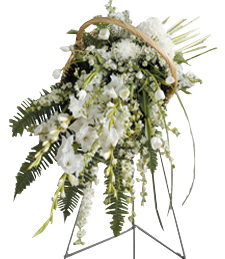 Radiating beauty and grace, this stunning arrangement is a truly loving and heartwarming expression of your deepest sympathy, support and fond remembrance. Adorn the final resting place of a cherished friend or loved one with this exquisite casket spray, brimming with sweet smelling flowers. 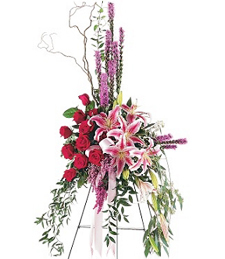 Radiating beauty and grace, this stunning arrangement is a truly loving and heartwarming expression of your deepest sympathy, support and fond remembrance. 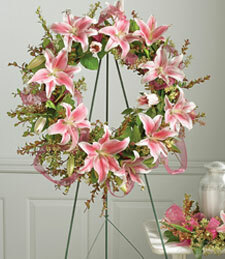 Honor the life and memory of a cherished friend or loved one with this exquisite standing wreath, brimming with sweet smelling flowers. 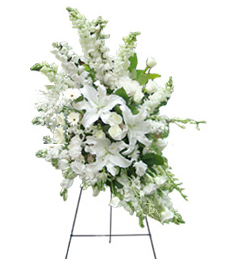 Radiating beauty and grace, this stunning arrangement is a truly loving and heartwarming expression of your deepest sympathy, support and fond remembrance. 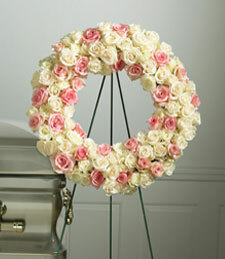 Adorn the final resting place of a dear friend or loved one with this exquisite wreath, brimming with sweet smelling, velvety roses in shades of white and pink. 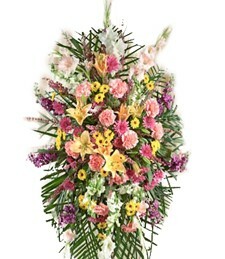 Radiating nature's supreme beauty and grace, this stunning arrangement is a truly loving and heartwarming expression of your deepest sympathy, support and fond remembrance. 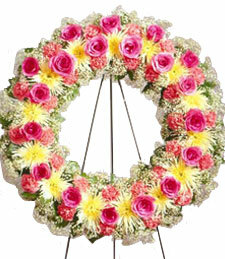 Adorn the final resting place of a cherished friend or loved one with this exquisite standing wreath, brimming with vibrant flowers. Both stunning and fragrant, this arrangement is a loving and heartfelt token of your warmest sympathy, support and fond remembrance. 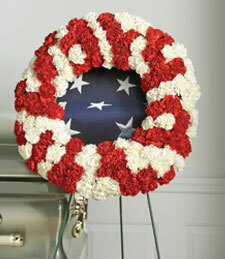 Adorn the final resting place of a cherished friend or loved one with this exquisite array of red, white, and blue to salute to a cherished life and beyond. Make a stance at a delicate time with a gifted array of colorful blossoms that speak patriotism in the utmost heartfelt way. Stand by their side for life just as a solider for his country! Enter their life with open arms and an open heart to guide them in time of grief over a loss of a loved one closest to the heart. Red hearts symbolize love and affection that send an unspoken message you care. Red Heart A Bliss will be the guiding light over their life in rememberance of that lost loved one. 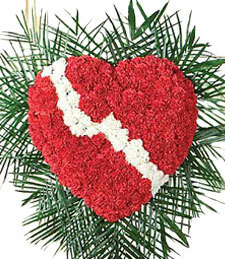 Nothing can heal the heart faster than red Roses for Your Heart. Be that warmth and comfort needed for that special someone in a time of pain and grief. 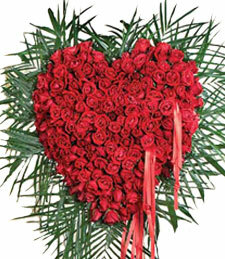 Give them a gift of red roses in the shape of a heart as a symbol of your concern. Embrace that delicate moment with that special someone in grief. As time passes, so will all wounds. Comfort them and show your sensitive side with a exoticly perfect White Standing Spray elegantly designed in a fireside basket. That sensitive occasion has just been made perfect!